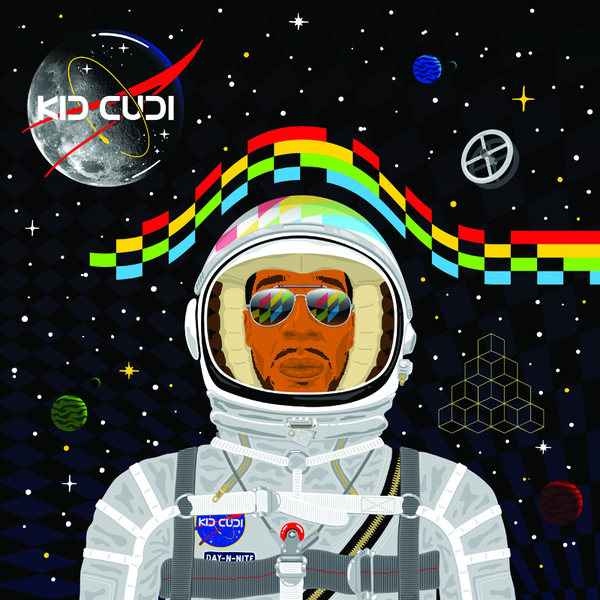 New artist Kid Cudi fuses electropopping R&B with slack hip hop antics, wending his way fairly unintelligibly through 'Day 'N' Nite', which sounds a bit like Chromeo minus the laughs. In addition to the regular mix you get an instrumental plus a remix by labelmates Jokers Of The Scene, which is a bawdy house romp: not exactly subtle, but nor is it especially in-your-face catchy either. B-side 'Dat New "New"' drops the attempts at pop hooks in favour of straighter rap, resulting in an even less charismatic outcome. As with the A-side, it's played out in triplicate for your consideration, taking in clean, dirty and instrumental versions.